Ina Garten drinking game. Enough said. This twitter account for a fake progressive-parenting daycare is hysterical. I love Sarah’s blog (and pantry sense). Cutest Halloween costume ever? I think so. 15 career tips for smart women. Get after it, gals. Brittany’s photographs are so colorful and amazing. I’m totally still ALL about that bass. Here’s an amazing version of what the song would sound like in the 1940’s. …SWINGIN’, man. Cute idea for an easy Halloween treat. 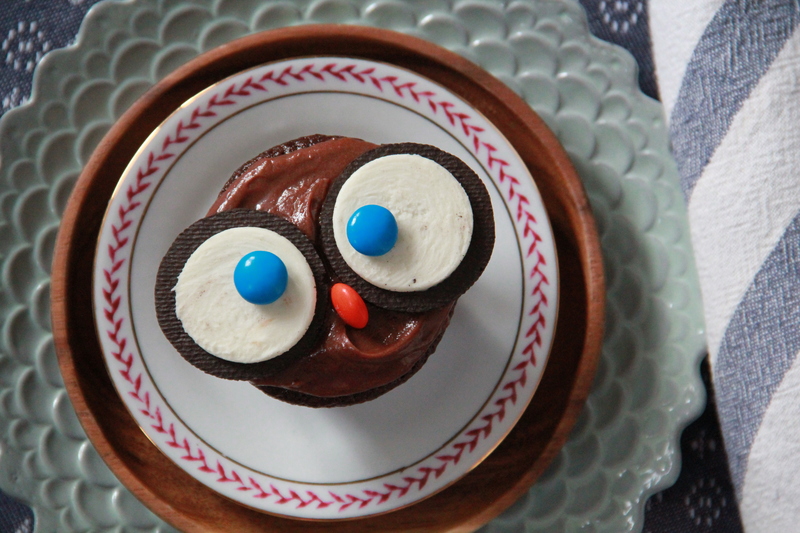 Or you could make Owl Cupcakes (above) and pretty much just win Halloween. Previous Post: « Halloween Treats! Love Love Love!!! Thursdays are the best, now that we have I Think Thursday! Thanks for the shout out, Molly! Loving “I Think Thursdays”! I just found your blog and can I just say that its awesome! I love your recipe ideas and your pictures are beautiful! I saw that you worked an internship at SAVEUR Magazine test kitchen, and I wanted to know how you got more information and lined that up…Im looking to work at a magazine test kitchen for my internship (Im a culinary arts major), but not having any luck yet…Can you help! ?